Outside of the hustle and bustle of central London, East Ham is a true East End gem, replete with multicultural cafes and quintessentially Cockney market traders. 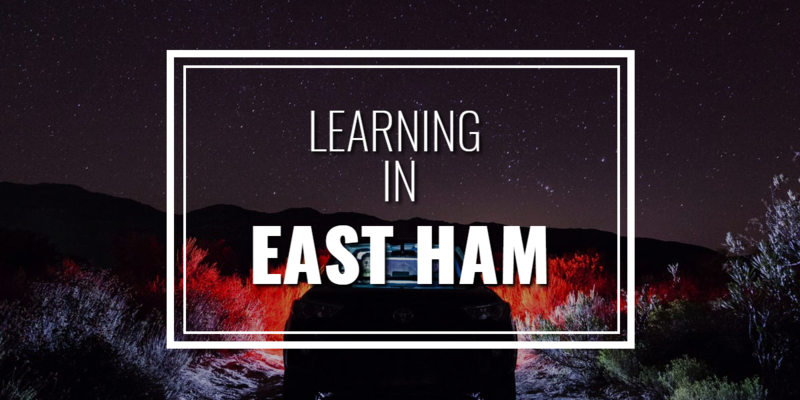 Yet even though it boasts some of the most convenient rail links in the area, its bucolic greenery and location just outside of the frenzied centre of the city make it an ideal place to learn to drive a car. Cruise around Central Park, tour some of its many green spaces or take in the views of the local nature reserve from the comfort of your car. Learning to drive in a quieter area in the shadow of the city of London has many benefits. While there will still be a wide array of traffic, pedestrians, cyclists and general motoring vagaries to negotiate, the neighbourhood feel of the area makes it less daunting than driving in the city centre. With slightly fewer distractions to contend with, you are free to concentrate on the task at hand: learning to drive a car in a decidedly less frenetic area, yet with enough happening so that you feel you are still being challenged with real-life scenarios. If you are local to the area and agree that it is an attractive area to begin driving lessons – and have done your research and chosen a driving instructor that you feel comfortable with – here are some quick general tips that can aid a learner driver on their personal road to motoring independence. Firstly, remember what you can’t see: it’s vital that you check your blind spot over your right/left shoulder when moving off, to ensure ultimate safety for yourself and other road users. Secondly, when approaching any type of hazard in the road, there is a sequence of checks to remember to complete: mirror (look to see how your movements will affect those behind you), signal (let others know what you intend to do), and manoeuvre (complete the necessary action, if you determine it is safe to do so). Finally, there is an aspect of driving that is critical when getting behind the wheel, and this will assist a new driver to become acquainted with the road: anticipation (e.g. learning to ‘read’ the road). Look well-ahead and gather as much information as possible so that you can react accordingly. This will also help you to feel in control, and consequently relax (and perhaps enjoy the scenery!) during what can be a rather nerve-racking experience.